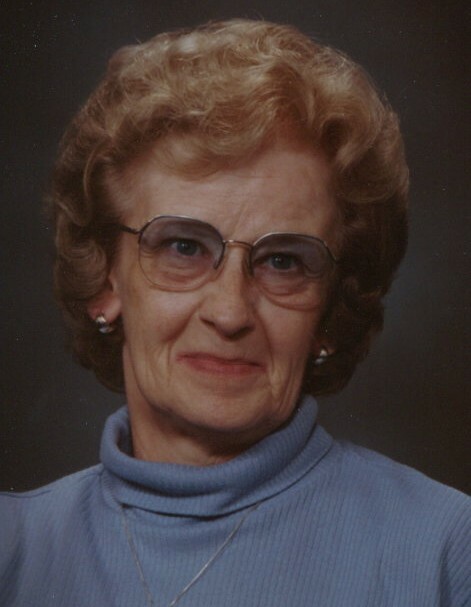 Obituary for Mrs. Ebbie Jean (Larson) Scott | Hinchliff-Pearson-West, Inc.
Mrs. Ebbie Jean Scott, 86, of Galesburg, Illinois died 10:52 a.m. Sunday, February 10, 2019 at her home. She was born August 1, 1932 in Oneida, Illinois to Goran and Frances Strandberg Larson. She married Joe E. Scott June 29, 1951 in Victoria, Illinois. Surviving is a son, Danny G. Scott of Galesburg, six grandchildren and seven great grandchildren. She was preceded in death by her parents, her daughter, Debra Jo White, June 13, 2011 and a sister, Shirley Harmison. Ebbie graduated from ROVA High School in 1950. She worked for Maytag Manufacturing Company in Galesburg for 36 years and retired November 1, 1995. She was of the Methodist faith. She was a member of the International Association of Machinist and Aerospace Workers Union. As Ebbie requested, cremation will be accorded. There are no services scheduled. Cremation burial will be in Oneida Cemetery, Oneida, Illinois at a later date. Hinchliff-Pearson-West Funeral Directors and Cremation Service Galesburg Chapel is assisting the family with arrangements. Online condolences may be made at www.h-p-w.com.